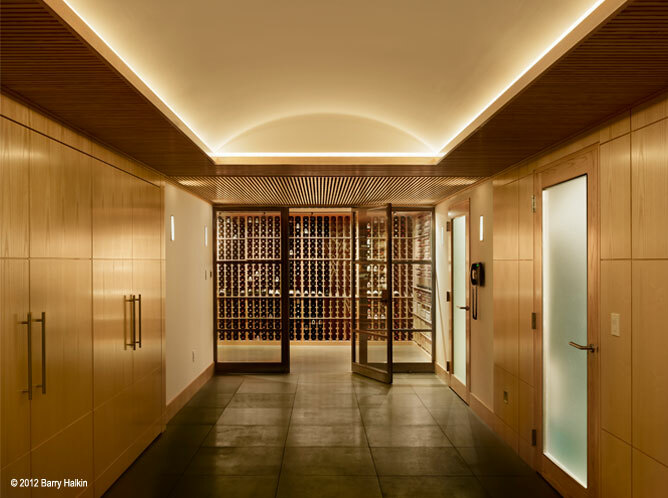 In the Basement of this sprawling residence, a section was carved out for the owner’s extensive wine collection. Wood “paneling” lining the walls of the corridor leading to the wine vault is actually a series of doors concealing storage closets and adjacent rooms. 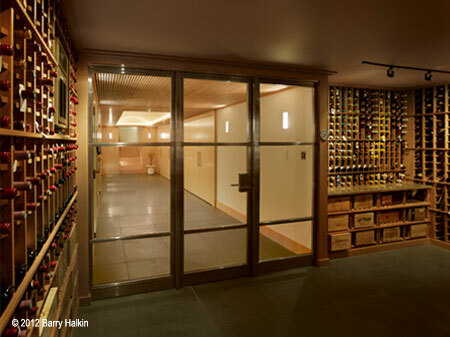 Custom made stainless steel & glass doors operate by key pad access and are both the display window and passage to the conditioned wine vault. In this subterranean space, lighting plays an essential role in creating the ambience, rendering it as elegant and austere.